THE 2018 GOLF BENEFIT WAS A GREAT SUCCESS!! STAY TUNED FOR DETAILS ON THE 2019 GOLF BENEFIT THIS FALL! 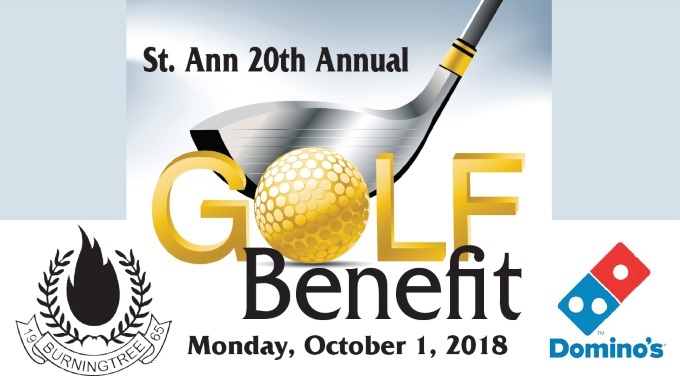 The Saint Ann 20th Annual Golf Benefit will take place on Monday, October 1, 2018 at Burningtree Country Club. Lunch and Registration begins at 11:30 a.m. Shotgun Start begins at 1:00 p.m. All proceeds benefit Saint Ann Educational Foundation. Please see attached flyer for Registration information. Please make checks payable to St. Ann Educational Foundation. For more information, please contact us at (256) 350-6181. Fax registration form to (256) 353-8994 or mail to Saint Ann Catholic School, Attn: Golf, 3910 Spring Ave. SW, Decatur, AL 35603.